Klik Eps 01 - End Untuk Masuk Ke Halaman Download Streaming Sesuai Episode Ingin di Tonton / Download. 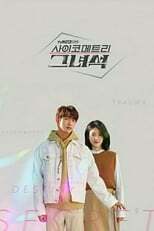 Lee Ahn (Jinyoung) is a boy with an incredible power to sense other people’s secrets just by a simple touch. Yoon Jae In (Shin Ye Eun) is a girl who’ll stop at nothing to hide a traumatic secret. What will happen when their worlds collide? A romantic thriller about how these two teenagers love, heal, and support each other through big and small events.